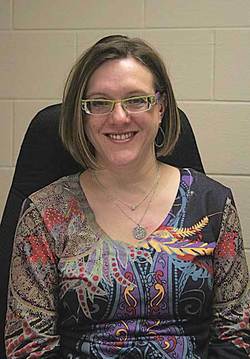 Feb. 1, 2013 5:00 p.m.
We are so lucky to have snagged a bit of time with Andrea Martinuk, the Manager of Leduc's Maclab Theatre, as our first Getting To Know You article of 2013! We are very thankful that Andrea was able to sneak us into her crazy schedule and we hope you will have as much fun getting to know her a little bit better as we did! A: Ooh, I'm not supposed to eat candy! (Smiles) But chocolate is my weakness. A: Having nobody attend a show! It hasn't happened yet thank heavens! A: (Laughs) I'd like to have one! I'd go anywhere really. A: I do TRX (suspension training) but I don't know if that's really a sport. A:(Said with a self deprecating little laugh) Actually I like winter. I'm happy when the first snowfall happens. There are no bugs and it is beautiful. A: Probably my black high heeled boots. Q: What is your favourite thing to do in Leduc? A: Wow, that's a tough one! I don't live in Leduc but I do a lot of things here. Going to the Chamber luncheons I guess. I really enjoy those. A: I don't have a hobby but I do have a collection of frogs. People keep giving them to me and I'm not really sure why! (Laughs) I have them everywhere. (Shows off a couple on her desk) Now my two year old daughter collects them too and her favourite shirt is her Kermit The Frog shirt. She's always asking to wear her "Kermie" shirt! A: Oh boy, there are a lot of people I admire but no one I would call my "hero". A: The Good Lovelies CD. A: Soup! (Laughs) I don't cook but I do make a good home made chicken soup. A: (With an ironic head tilt and a sideways look) Live theatre! A: We're actually going to be able to scratch one off the list because very soon my husband and I are going rock climbing for the first time! A: Well, I always knew what I didn't want to be; I never wanted to be a teacher because both my parents were teachers and I saw how hard they had to work, grading papers late into the night. I guess I have always known that I wanted to work in theatre. Not necessarily as an actor but something for sure. And here I am!